I chose the CF5 Black Frame for my painting because I wanted a simple understated frame that would enhance my painting and not detract from it. I received my "first" frame and realized that it had a chip in a corner (not the fault of pictureframes.com). The shipping company had damaged the box. After I called to bring it to pictureframes.com's attention, they sent me out a new replacement frame at no extra cost to me. I am very appreciative for them making it right even though it really wasn't their fault. The quality of your frames is excellent. AS a working artist I appreciate being able to purchase canvas floaters with no worry for all of my art. These frames are great value for the money, adding heft and polish to my paintings. 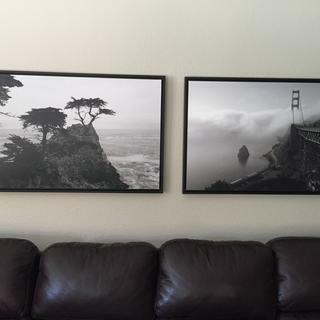 These frames add a classy finishing touch to my gallery-wrap canvases, without adding a lot of expense. In the past I've used custom closed-corner floater frames - nice, but considerably more expensive, and with the narrow face, I don't feel the tiny corner seam is an issue. I'll definitely be ordering again. The order arrived quickly, pre-assembled, and super easy to attach to the painting. Looks great!! 48x60. Ink + acrylic on canvas. I ordered this frame and after a few days I receive a call from a third shipping company saying that I have to be a home from 1pm to 4pm for delivery. I try to change that time, or the delivery address so I don't have to waste three hours of my day waiting for a frame, but the weren't flexible at all. I called Pictures.com and they said they couldn't help me, that I have to "call them and make arrangements", which I already did. Other times I ordered they left the package on the front porch. I don't know why this time would be different. It didn't say in the order page. I guess I'll have to plan on wasting 4 hours (3+ 30 min commute both ways) waiting for a frame tomorrow. It will be an expensive one. Last time I order from Picturesframes.com. Alberto thank you for your feedback. We apologize that the order was not delivered the way you expected. 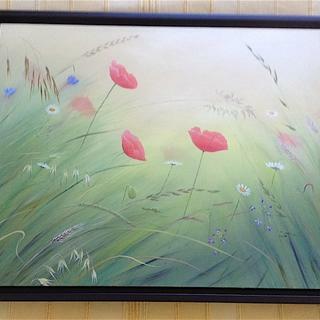 Based on the 40"x40" size of the frame, the frame needed to be shipped via Freight. I have reached out to you by phone and left a voicemail. I was hoping to elaborate that we were able to set the delivery time at 5pm. If you have any questions, please contact me directly at the phone number I left on your voicemail. Thank you again for the feedback. Product arrived well packaged. Second frame I have ordered. I would recommend for canvas paintings too. This is the second review, the larger ones do not fit well, however the smaller ones are perfect. I bought two small white ones 8 X 8 and one black 12 X 12. These are worth the money, wish they would get there act together for the larger ones. Marilyn please allow us to offer you a free replacement cut to the correct size. If you could please give us a call at 1-800-332-8884, we are happy to further assist you. Thank you for your business. I've never mounted a canvas before. Mounting was easy and the painting looks great on the wall. 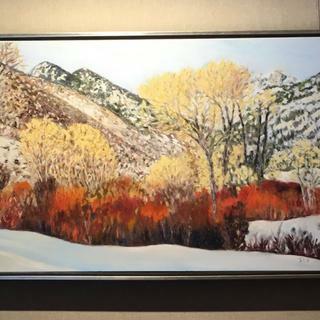 I needed to frame a 10x20" gallery wrapped canvas and your frame was perfect; it went on quickly - very easy and enhanced my painting, which I submitted to an art show recently. I had been having trouble finding frames for the thick gallery wrapped level 3 canvas that I prefer and I am glad to know where I can find them now. Thank you. I needed a frame for this deep 10x20" gallery wrapped canvas and the CF5 was perfect! This canvas floater frame was so easy to order and arrived on time. I wanted a black matte frame and this item was perfect. I would definitely order another in the future. Exactly what I was expecting! I was nervous that it would be what I wanted, or would be complicated to attach my canvas.....but it was super easy! The frame really finishes the painting. Very happy with the purchase. I love the frame. Simple, clean and a perfect fit for my art. Very happy to find something so reasonably priced. The shipping costs was high so maybe an option to assemble the frame would allow for less shipping cost. Hello Barbara! Thank you for your feedback. We are pleased to know that the frame fits perfect with your artwork. We certainly understand your concerns about shipping costs. We’d like to assure you that shipping charges are not a profit center for us. In order to make sure your order arrives in perfect condition, a lot of effort goes into our legendary packaging. Our shipping rates include actual shipping costs plus custom packaging materials, and extensive labor. Because we want to keep you as a customer, we do everything in our power to keep shipping costs as low as possible including periodic Free Shipping promotions. Please be sure you’re signed up for our email list to take advantage of these money saving opportunities. We do hope that when you have framing needs in the future, you’ll think of us. If there is anything else we can do to serve you better, please let us know. Thank you for your business! Hello Paul! Thank you for taking the time to submit a review. Our shipping and handling fees are not a profit center for us and we only charge a small percentage of the actual shipping cost we incur from our carrier. At this time we ask that you give us a call to make a request to pick-up your order. We are happy to have the order boxed or bubble wrapped for you. You can make this request by calling 1-800-332-8884. Thank you for your business! I have no complaints about the appearance of the frames, the quality or the quickness of service. However, the screws furnished for affixing the canvas are so long that, if screwed all the way in, the tips show through from the front. Fortunately, after I learned this with the first one of three, I didn't screw them all the way in. Hello Carol! Thank you for your feedback. We are pleased to know you like the appearance, quality and quick service we offer! The hardware provided with the floater frames is being examined based on your comment. If we conclude that we need to use an alternate type of hardware, we will immediately make those hardware modifications. Thank you again for your feedback! Happy Framing! We received this frame promptly and shipped in excellent condition. Very easy process to attach to our canvas. Love it. Great quality frames. Easy to fasten our picture canvasses and easy to add the wire to hang. The frame really makes the canvasses pop on the wall. Really made our photo canvasses pop on the wall having them in a frame. Excellent product. Very easy to use. Superb packaging ensured this large item arrived in perfect condition. Thank you. I have been using these for my gallery wrapped oil and acrylic paintings. They add a sense of polish and professionalism. And the price is fair, especially compared to local frame shops. the frame is well-made. makes the canvas stand out. the frame is well-packaged, too. good all around experience. I will continue to buy frames here when I need them. The frame I ordered was sized perfectly and just what I was hoping for. Easy to order and arrived soon after! I love these frames and will buy again!! These frames are well made and solid. They work well with encaustic panels and cradles. They are predrilled so it’s easy to install art. D rings and wire are a great touch. I can finish framing without a trip to the craft store. Black finish is beautiful satin finish. I’ll buy again. Black wood floaters are the finishing touches to my paintings! I only have to get measurements then place my order. It is so easy and the frames are ALWAYS beautiful!!! Very happy with my frames, easy to mount the canvas and give a great finished look. Waited for 8 years to get my painting framed with a floater frame. I am so pleased with how it turned out. Extremely well packaged for shipping. Did not have enough screws to put all the metal brackets needed to attach frame to picture though. Seemed pricey for what it is but I could not find anything cheaper so went this route. Hello Joyce! Thank you for your feedback. We are pleased to know that the frame arrived very well packaged. Our hardware is pre-packaged by our supplier and we regret there were a few screws missing. In the future, please give us a call so that we can send you the hardware you need. Also, please sign up for our E-list so that we may send you promotional offers ahead of time. That will give you the opportunity to save on your orders. Thank you again for being a valuable customer. Have a great day! 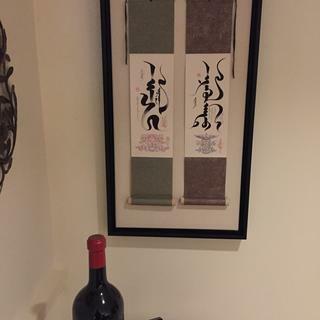 I highly recommend pictureframes.com floater frames. I am a painter, and over the past few years, have used many of these frames in many different colors and sizes for deep canvases. I have to be careful of the finish, thus the 4/5 quality rating, but these frames are my absolute go-to frames!!!! 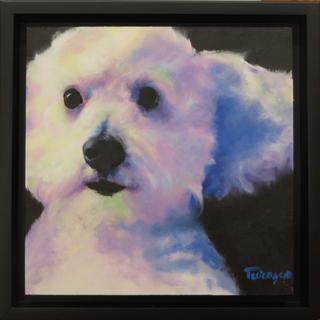 "Rudy," oil, 8" x 8"
Good quality, looks nice. Had to call to clarify the assembly instructions, but got a quick and accurate answer. This frame is exactly what I needed and looks great. I contacted customer service before ordering and they were very helpful to be sure that what I was ordering was the correct item. Will order again if the need arises. Wonderful service and perfect frame for my wrapped canvas. I like the frame . I have bought few of them in different sizes and was satisfied . Originally, a wrapped canvas painting of a Dachshund with an attitude was lost in the white walls of our guest bathroom. After adding a floating frame, it came alive. Installing the frame to the back of the canvas was very easy. I am extremely pleased with the quality of this frame and the speed with which it was shipped. I will definitely use pictureframes.com again. Order it for all of my gallery wraps. Clean lines, The black helps the image to stand out, even on a wall full of other paintings. I framed a photo that had been hand mounted onto a 1-1/2" board. A canvas wrap is a bit larger when you add the canvas all around. But it still worked great. I really like this frame for its smooth finish, its precise built and the nice depth it gives to my artwork inside it. It feels sturdy and was very easy to mount. The price was right with the discount. Turn around time was OK.
"Dancing spirit of Summer" © emmeline craig. Oil on birch wood. I ordered this black frame for a canvas art piece I recently purchased. It was a great choice, and really finished the piece off and really made it pop. Was easy to hang, and was delivered just as promised. This is the perfect frame for art work. Easy to order on line, fast shipping too! Very satisfied with this product. I will order all my frames from pictureframes.com in the future. Great frame. Solid, easy to attach painting. All good! This frame was a pleasant surprise. Nice smooth finish and perfect corners. Had a little trouble that my premade canvas stretcher bars that had a ridge with plastic tubing which is used to hold the canvas in place right where the screws needed to go. I ended up using staple instead of screws. I do love the way my mosaic turned out once I put the frames on, it really completed the look I wanted. The only thing that bothered me a little was there were a few scratches that took some of the paint off. Not too noticeable but if I am selling my work I want it 100% quality. 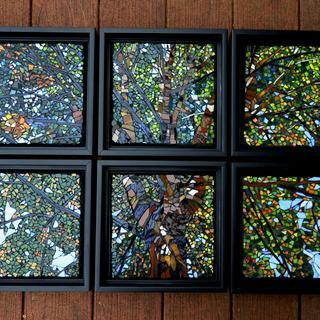 I order frames for all my mosaics now so I do stand by the product, and am happy with the purchase. Outside lighting a little better. Looks great. The frame came assembled and without any damage. It was Easy to put together. Made a huge difference for the painting. This simple black wooded frame is easy to assemble and allows the oil painting to display itself without distraction. I just wish (second time ordered) "they" would send enough screws. Both times I order, there were 3-4 screws missing. Hello Michael! Thank you for taking the time to speak with me today over the phone. We sincerely apologize that the order was missing a few screws. The hardware is pre-packaged from our distributor. We have added a company credit to the account for the inconvenience. If you need further assistance, please give us a call. Happy Framing! These are good quality frames and the best part is the ability to order custom sizes. I've ordered multiple of these frames and will order more when I need to frame more paintings. This frame arrived quickly and in perfect shape. My only complaint is with the directions for attaching the canvass frame....simply not specific enough. There was no mention of needing a drill to start screws or where to place attaching hardware. Hello Janice. We are thrilled to know that the frame arrived quickly and in perfect shape. In the future, please give us a call if you need more guidance assembling the frame. We have video tutorials we are happy to email you. We apologize for any inconvenience. Have a great day and thank you for your business! I will recommend it. The painting looks very nice with this frame. I like the quality and the choices. I use the canvas floater frames. They finish my art (oil paintings) nicely. Will be displaying seven pictures with your frames this weekend. I am delighted with the quick service and the quality of the canvas float frames. Will definitely order again! This is an excellent frame for showing off my paintings done on paper stretched over stretcher bars. It's perfect and not too expensive to frame these large pieces. Great frame. Well made. Good price. Fast delivery time. Clean, it will stand out on its own. Gallery canvas will fit in this floater frame. The black finish compliments the black in the painting. I own a painting of the beach at sunset by a local artist that is on a long canvas. 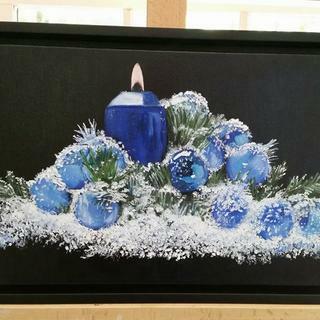 She is my wife's friend from art classes and they both prefer to paint on 1 1/2" gallery wrapped canvases. This frame will give the painting a finished look and make the subtle colors "pop". The best and well priced frames ever! They make my art look museum-like. I am very happy. This is the perfect, reasonably priced way to frame canvases. Have used for at least 15 years. Very modern clean look. Best to showcase my contemporary work. This is for a canvas over a fireplace. I did not want the frame to be too large (only accent the picture), and the sconces have black in it. It is VERY difficult to find a frame in this size with a deep enough profile to accommodate a canvas. 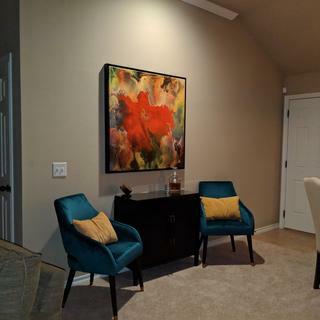 I want to frame a canvas in my living room to make it look more finished - this color goes best with the picture and the room. I chose this frame for the color and depth. I love the look of floater frames, so clean. It's a nice, sturdy floater frame. 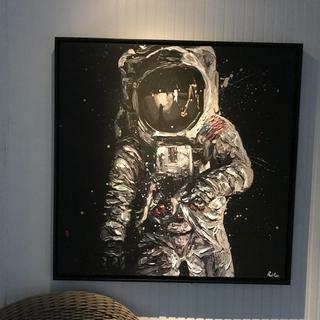 I like how it adds a bit of shadow space around the painting. 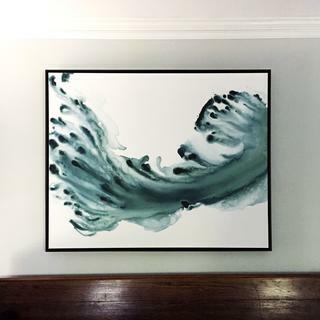 I'm looking for a simple float frame for a large canvas. This fit the bill! 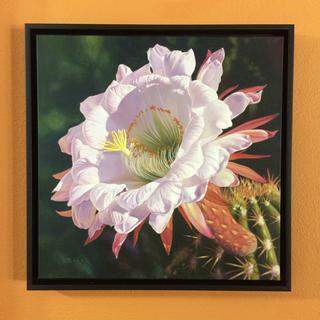 The frame is nice quality and the depth is perfect for gallery wrapped canvases. I am in an Art Show in Feb 2018. 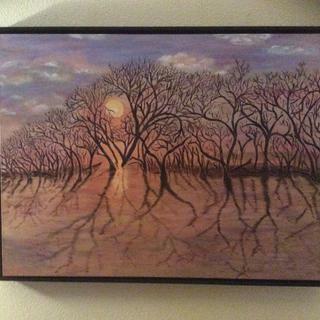 All of my oil painting will be hung and all must be framed even the Gallery Canvas pictures. I only did one Gallery painting. The rest are the usually. to compliment my canvas artwork, by allowing more of it to show. This frame will hold a 16x20 stretched canvas that that is mounted on 1.5" high stretcher boards. Beautiful and I like them. Easy to use. This is a high quality frame with the modern look I seek for framing my abstract works of art. The price cannot be beat. Love this item, use this frequently for my canvas art I sell! Easy maneuvering of site with good info. Reviews and framed images helpful. The stretched canvas pictures look better with a floating frame. 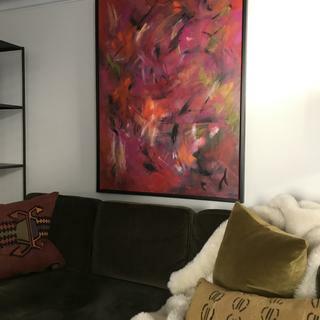 Love the sleek, modern look that is unobtrusive to my artwork while adding a lovely finishing touch. Needed a contemporary minimal wood black floater frame at a reasonable cost. This fit the bill. Floater frames are great for large canvas. These frames are simple accents that highlight the art itself. Great for gallery use and very easy to install onto your canvas. I love the gallery look for my collection of contemporary art. Good prices and meet my needs. I'ma returning customer. Perfect for the art I am painting. It was recommended by another artist. I wanted a floating frame for my mosaic art. When I order the size 24x24 do I need to add 1/4 inch on each side so there is a space to make it look as if it is floating or do I just order 24x24 and the space is automatically figured in? BEST ANSWER: Hello Jacki. Please order size 24"x24" exactly. As an industry standard we automatically add 1/8" allowance to the width and height. Therefore, the frame size will actually be 24.125"x24.125". Happy Framing! How should I deal with a 40 x 30 canvas but one inch deep? BEST ANSWER: The CF5 frame will work with your 1" deep canvas. Your canvas will recess inside the frame by 5/8". Typically, customers use a space filler such as cardboard, or ply wood to fill in the 5/8" space. We are happy to advise you further if you can call us at 1-800-332-8884. I have artwork on a 3/4. (.75) canvas. Will it fit? BEST ANSWER: Hello. Yes indeed your canvas will work fine with the floater frame. The depth of the frame is 11/16" which works perfectly. Thanks! BEST ANSWER: Hello Linda! Thank you for your inquiry! We require a physical address to ship boxes larger than 16"x20". If your order exceeds that size we can NOT ship to the PO Box. I hope this information was helpful. Please let us know if you need anything. Happy Framing! i have a 40 x40 canvas that is 1.5" deep. Does this frame for that size? BEST ANSWER: Hello Adrianne. Thank you for considering us for your framing needs. The CF5 frame is 1 5/8" deep which will work with your canvas. Thanks again for your business. the depth of my canvases varies, will it matter if the canvas is not 1.5"? BEST ANSWER: I assume the CF5 frame is a floater frame that I have used many times. (I say this because when I typed in CF5 frame, I didn't get a specific frame.) Yes, it matters. The z clips that come with the frame only work for a certain canvas depth. If you can get deeper clips then you can use shallower canvas depths. ( I tried shims but found they didn't work well.) I love the look of floater frames and wish you the best with your painting. Its me again. I just looked at one of my paintings framed with the CF5. I have only used 3/8" canvases. A deeper one would not work unless you want the canvas to stick out beyond the edge of the frame. Sometimes I've found that a 3/8" canvas isn't deep enough for the z clips that come with the frame. It's probably due to slight depth variations by the canvas manufacturer. I bought some z clips that were deeper and they worked fine. It doesn’t matter what canvas depth you have. What matters is how you want your painting to show. If your canvas is thinner than the depth of the frame it will set back into the frame. If it is thicker than the frame, it will extend beyond the frame. I have done both. Hi Kiley. This frame will work for smaller canvases, however, keep in mind that with the longer depth, the smaller canvas will set in the frame slightly. We do also have the same frame in a 3/4" depth version if that is of better use for you. This would be the CF1. Thank you! The depth is exactly 1.5” as noted. To answer your question, Any canvas depth will work with this frame. The frame will only be “flush” with a 1.5” canvas depth, but will still work with any canvas depth. There is a smaller canvas floater available. I need a frame that will fit a 48x48x21/4" canvas? BEST ANSWER: The canvas surface will protrude beyond the frame if not deep enough to match the thickness of your canvas. If you can order it with a 2.25 depth you will love it. Frame is excellent quality. Well honestly and I am sure you have heard this, but you might just have to build it out yourself which will probably save you money in the long run. but it can be done and done well. 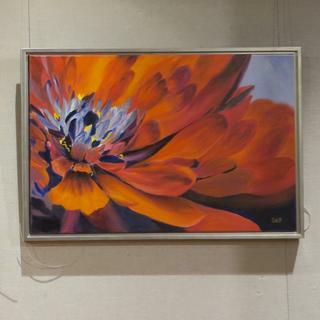 We have frames that can be sized at 48"x48" but we do not have a canvas frame with the depth of 4". The deepest canvas frame we have is 2.1". Have a great day! Does the frame come with screws to attached my canvas to the frame? Yes, the frame comes with Z-brackets to attach your canvas as well as a hanging kit with wire. BEST ANSWER: as a general rule, I go about 1/4 down from the top, It hangs better closer to the top. So if the length of the frame is 36", I would go down 9" from the top. The wire when pulled taught should rest about 1 1/2" from the top of the frame for clearance of whatever type of picture hanger you are using. I don't know what a professional framer would do, but i like to go no more than 1/3 (12 inches in this case) from the top. Six inches down from the top is probably the minimum and anything in between is okay. Having them EQUAL and level is most important. Hello Suzanne. Thank you for reaching out to us! It is best to go about 1/3 of the way down on the frame to ensure an even weight distribution. Thank you! Attach hanging clips 1/3 down on canvas and crown the wire 3" down from the top of the frame. My gallery wrap canvas was sold as 24 x 16 x 1.5. At one corner it measures 16-1/8" but 16" at the other. Do I add the 1/8" to my measurements or count on your tolerances to cover the difference? BEST ANSWER: Give the exact measurement of the canvas if you are ordering a floating frame. Call the customer service team and they will guide you to what you need. Definitely add the extra 1/8th in to your overall measurements. Do not add the 1/8” - it will fit perfectly fine. I need a bigger size than your drop down menu has. Can i get a 52 x 96" frame? BEST ANSWER: Hi Marge. For larger than 83", please contact our customer care team to order at 1-800-332-8884. They will be able to advise you if this is possible. They are in the office Monday-Friday 8am-7pm eastern time. I've used this frame many times, but 40x40 is the largest size I've tried. Stability and shipping should be considered for such a large size. What is the depth of this frame? My painting is 1” deep. BEST ANSWER: 1,5 deep is fine with a 1 inch thick canvas. The frame will stick out beyond the canvas a bit but it still looks great. I sell a lot of painting this way- almost a shadow box effect. Thank you for your inquiry! 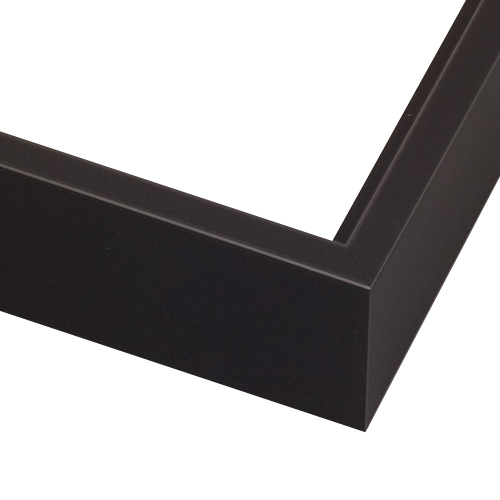 This frame can support a canvas up to 1.5". Does 15/8 deep rabbet work with 5/8" deep canvas ? BEST ANSWER: Hello Chris! Thank you for inquiring about the depth available for this beautiful Floater Frame. Could you please convert your artwork depth to 1/8" increments so that we can ensure we recommend the appropriate frame? If you need assistance with getting this measurement, please give us a call. We can be reached at 1-800-332-8884. Thank you so much for your business! Hi Chris. Thank you for your response. The CF5 Floater Frame is 1 5/8" deep. The frame has more that than you will need with a 5/8" Canvas. You should have received notification that the order has shipped as of 07/20/17. We have a frame with the same profile but has a depth more appropriate for your canvas. We are happy to exchange the Floater Frame for the one that you need. Please check your email for a UPS return label and instructions on how to return the order. We sincerely apologize for any inconvenience. Thank you for your business. My art work depth is 5/8". Hello Chris. Based on the depth of your artwork being 5/8", the CF5 floater frame is too deep. I have emailed you and provided you instructions to return the frame. If you could please return the frame, we will assist you with getting the CF1 frame. The CF1 frame has a depth of 11/16". Please let me know if you have any other concerns. I can be reached at 1-800-332-8884. Have a great day. 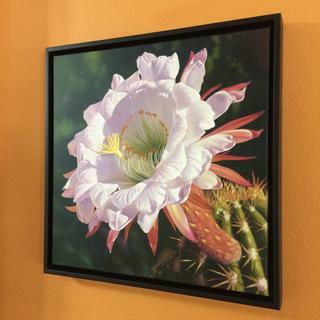 I have a custom canvas photo that is 24 W x 18 H. What size floater frame should I order ? BEST ANSWER: The frame should be sized at 24"x18" to fit your Canvas Photo. Our frames have an 1/8" allowance. Therefore, the actual frame size will be 24.1"x18.1". What about canvas depth ? Does it matter ? What size do I need for a 1/2 inch gallery wrap canvas? BEST ANSWER: The CF1 would be better suited for your smaller canvas. It has a depth of 3/4". Thank you! What depth floater frame for 3/4" canvas? BEST ANSWER: The CF1 floater frame is the same frame as this CF5, however, it is designed for 3/4" canvas depth. BEST ANSWER: Hello! These beautiful frames are not designed to support glass, but instead these frames are for Canvas only. Unless otherwise noted on our site or catalog, our frames don’t automatically include acrylic glazing and foam core backing kits. We don’t sell glass for frames, we sell picture-frame quality acrylic which is plexi-glass. Glazing and backing kits are not included automatically because not all artwork or customers need them for framing. Canvas paintings, for example, would be damaged by glazing of any kind. These are offered as separate add-on items during the ordering process which can be added after a frame size is selected. Thank you for your inquiry! Hi, My canvas is 7/8" deep. Which size frame should I buy? CF1 or CF5? BEST ANSWER: Hello BD! The rabbet/depth of the CF1 is 11/16" in depth which will work with your canvas. The CF5 which has a depth of 1 5/8" is way too deep for your canvas. Thanks! BEST ANSWER: Hello Alanna! The floater frames do not use backing. The frames are designed to insert the artwork from the front of the frame. Thanks! I have a 48" x 36" x 1.5" canvas giclee I want to frame. How does the frame attach to the canvas? If the canvas is slightly warped after stretching, will the frame straighten this imperfection? BEST ANSWER: Hello Nigel. The canvas is attached to the frame with L-shaped brackets. If the canvas is slightly warped, you may have an issue with the canvas being flush in the frame. Please see the video below for more guidance. If you need more assistance, please give us a call at 1-800-332-8884. Happy Framing! Will this work on 3/4 inch depth? BEST ANSWER: Hello! This frame is designed for a 1 1/2" Frame. Please consider the CF1 frame, which as the same profile with a depth of 11/16". Thank you for your inquiry! Will this work for a 36x24 canvas or is that too big? Also how easy is assembly? BEST ANSWER: Hi Heather! The CF5 will work perfect with a 36"x24" canvas. However, the frame is 1 1/2" deep, so do make sure it will accommodate the depth of your canvas. You will receive all of the necessary assembly and hanging hardware, which will make the assembly fairly easy. Do the frames come with the glass? BEST ANSWER: Hello! 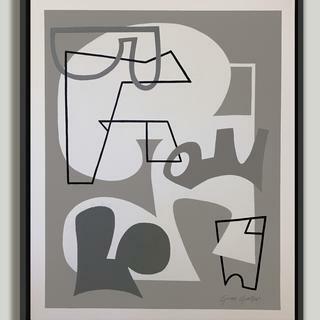 This unique frame is meant to hold a canvas and is not designed to hold a canvas. Our frames do not come with glass. We recommend using acrylic instead of glass. Acrylic is light weight and shatter proof. If you are framing canvas, the acrylic is not needed. However, if you are framing a print you will need to add acrylic to the order. If you need further assistance, please let us know. Happy Framing! I need a frame to fit a 26x40 canvas painting. 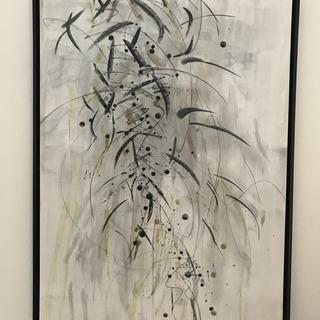 Do you have a frame that will fit this painting? BEST ANSWER: Hello Gloria! This beautiful CF5 frame is perfect for canvas that is 1 5/8" in depth. The frame can certainly be cut to size 26"x40". Please take account of the depth of your canvas before ordering. We also have this frame in a more shallow depth of 11/16". Please let us know if we can further assist you! Happy Framing! Does this come with a piece of glass? BEST ANSWER: Hello! Thank you for your inquiry! This unique frame is NOT designed to support glass nor do we supply glass with our frames. This frame is for Canvas only. Please search for another frame style if you desire to add Acrylic to the frame. If you need more assistance, please give us a call. We can be reached at 1-800-332-8884. Would this be a solution to a canvas that won't lay flat against a wall? I have two canvases that seem to have twisted/warped. Thank you! BEST ANSWER: Hello! This particular frame will not solve the issue of having a warped canvas. However, we have the Super Canvas Woods Collection that is designed to support canvases that may be slightly out of square. Please see the image below of a Black Frame you may like. If you have any questions, please let us know. Happy Framing! Will this frame suspend the weight of a 12 x 9 mosaic? BEST ANSWER: Hello! Thank you for reaching out to us! The wire that is used to hang the frame has a weight capacity of 68lbs. That should work fine with your 12"x9" mosaic if the weight is under 68lbs. Please let us know if you have any additional questions. Will my 5/8" deep canvas frame fit any appropriately sized floater frame ? BEST ANSWER: Hello Chris! Thank you for reaching out to us. The 1 5/8" deep CF5 frame is a little too deep for your 5/8" deep canvas. We have the same profile in a more appropriate depth that will work for you. Please consider the CF1 frame below. The depth of the frame is 11/16" which is the same as the 5/8" deep canvas you have. If you need assistance placing the order, please give us a call. We can be reached at 1-800-332-8884. Have a great day! My artwork is 48" x 48" stretched canvas 1 1/2 " deep. Best suggestion for black simple look? BEST ANSWER: Hello Sandra! Thank you for reaching out to us! The CF5 is the perfect depth for your canvas. The frame is also a Floater Frame which make the canvas appear to be floating in the frame. If you need assistance with placing the order, please let us know. Have a great day! Hello, I have a 12x18'' canvas, 1.25'' deep, each bar is 0.5'' wide. What frame should I buy to be able to mount it correctly? BEST ANSWER: Hi Francesco. Thank you for inquiring about our Canvas Frames. The CF5 frame has the appropriate depth for your 1.25" canvas. There will be 3/8" of space from the canvas being flush with the face of the frame. You may not visually be able to see this difference in depth. However, you can add a 3/8" piece of wood behind the stretcher bars to 'build up' the canvas. Please explore all of our Canvas Frame options by modifying your search on the right hand side of the webpage. You can search for Canvas Frames in the search box. Please look for FRAME/ RABBET DEPTH. Change the depth to 'Deep' or 'Extra Deep' rabbet depth. If you have anymore questions, please don't hesitate to reach out to us. We can be reached by phone at 1-800-332-8884, or you can email us at customercare@pictureframes.com. Happy Framing!